Hola preciosidades!!! Qué tal ese ecuador de la semana?? Deseando que se pasen los días y llegue el finde!! Ya queda menos, así vamos a darle un empujoncito a la semana!! 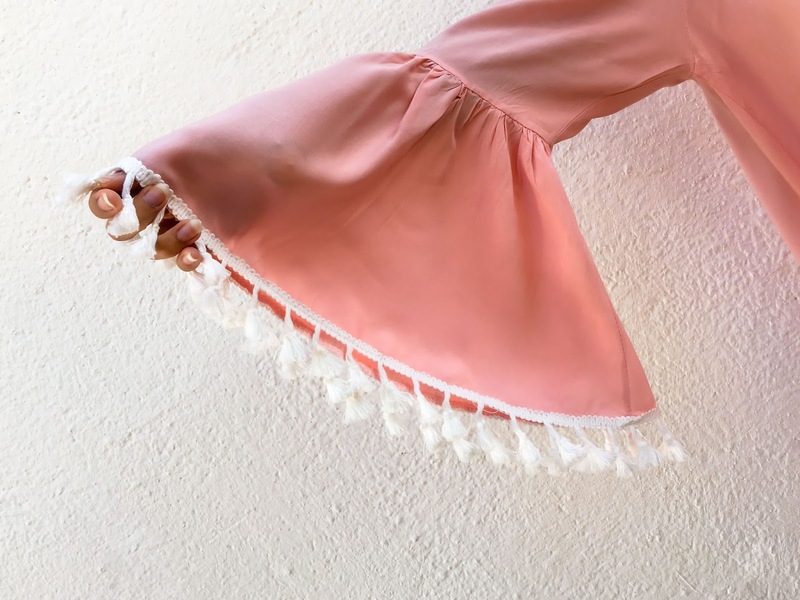 Hoy, os traigo un vestido perfecto para una tarde de playa de SHEIN. Hello gorgeous !!! How about half of the week ?? Desiring that the days go and get the weekend !! It is less, so let's give a little nudge a week !! 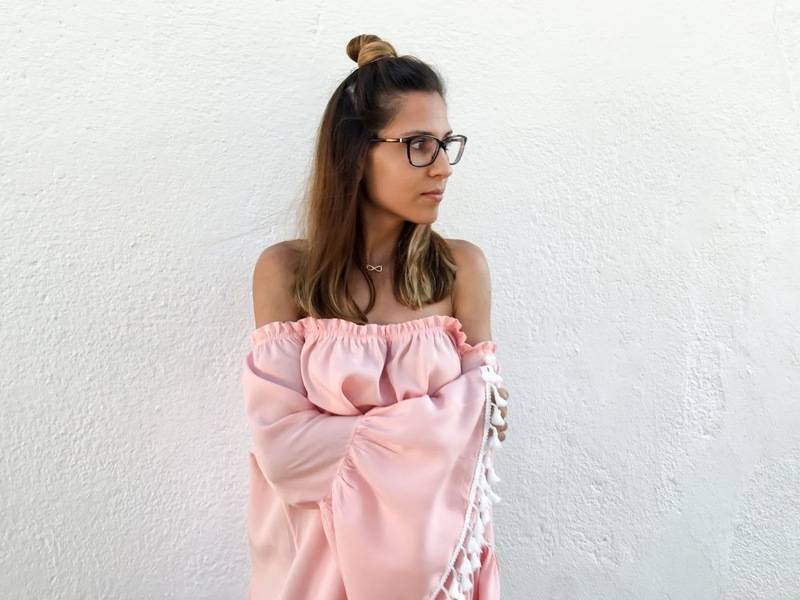 Today I bring you a perfect dress for an evening beach SHEIN. 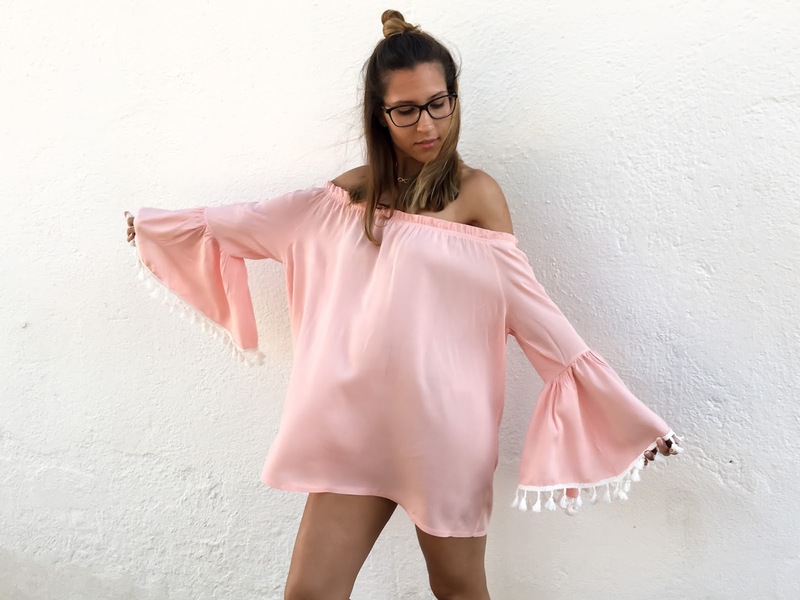 Para todos los que estáis en la playa y no sabéis que llevar, os recomiendo este vestido, perfecto para una tarde de playa o incluso una noche de fiesta en la arena! Yo aún no he podido enseñarlo en la playa, pero ya me queda menos!! Un mini vestido súper fresco, de hombros descubiertos y mangas acampanadas acabadas en pompones. No penséis que por ser de manga larga, vais a pasar calor, porque es súper fresquito!! Y el color rosa es de lo más dulce!! For all who are on the beach and put you not know that, I recommend this dress, perfect for an afternoon at the beach or even a night on the sand! I have not been able to show it on the beach, but since I have less !! A mini dress very cool, bare shoulders and flared sleeves finished pompoms. Do not think that because long sleeves, you're going to get warm, because it is super chilled !! And pink is the sweetest ! !